Chelsea muslim players – Chelsea is football clubs from London, England. They also known as The Blues or The Pensioner. There are some muslim players in Chelsea. Currently, list of Chelsea muslim players are N’Golo Kante, Tiemoue Bakayoko and Antonio Rudiger. Not only that, in the past there are many more muslim players that ever play for The Blues. So who are muslim soccer players in Chelsea – past and present? Three famous muslim players currently play for Chelsea. French midfielder duo, Kante and Bakayoko, along with German defender, Antonio Rudiger. 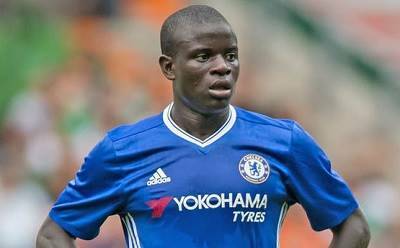 Kante is Chelsea key player who got EPL Best Player awards in 2016-17 season. While the other two also play integral part in Chelsea tactics and formation. In the past, several Chelsea muslim players also can’t be overlooked. For example, Salomon Kalou who start in Champions League final win against Bayern. Also Nicolas Anelka who ever won Premier League Top Scorers trophy. Other names include Bosnian goalkeeper Asmir Begovic, Senegal forward Demba Ba and Egyptian winger Mohamed Salah, currenly become Liverpool muslim players. There are some muslim footballers in Chelsea from time to time. Below is list of Chelsea muslim player and his personal detail (birth date, position, club career, honours). N’Golo Kante is French midfielder for Chelsea and France national football team. Hew was bought from Leicester. Kante won Premier League back-to-back with 2 different clubs – Leicester and Chelsea. He is known with his defensive ability such as tackle and intervention. His hard-workand intellegince also become his main ability. Kante even won PL Best Player in 2017. Another muslim French midfielder in Chelsea is Tiemoue Bakayoko. He was bought from French clubs, AS Monaco. Bakayoko shines with Monaco, led them to won Ligue 1 2017 and reach Champions League semifinal in the same season. Bakayoko become option for Chelsea manager to add depth in current Chelsea squad. Antonio Rudiger is German-born defender, can play in both center back or right back. In the past Rudiger had play for Stuttgart and AS Roma. He also include in Germany squad that won 2017 FIFA Condederation Cup. Currently, Rudiger often play in Chelsea formation with three center-backs. In the past years, there are several muslim footballers in Chelsea. Some have succes spells (i.e Kalou, Anelka) but some muslim players also flop (i.e Salah, Baba Rahman). Chelsea is one of the top clubs in England. It’s no wonder that Chelsea can attract many players around the world, including muslim players in Europe. Some of the best muslim players in world football such as N’Golo Kante, Nicolas Anelka, Salomon Kalou and Antonio Rudiger become notable example of muslim players in Chelsea, past or present.